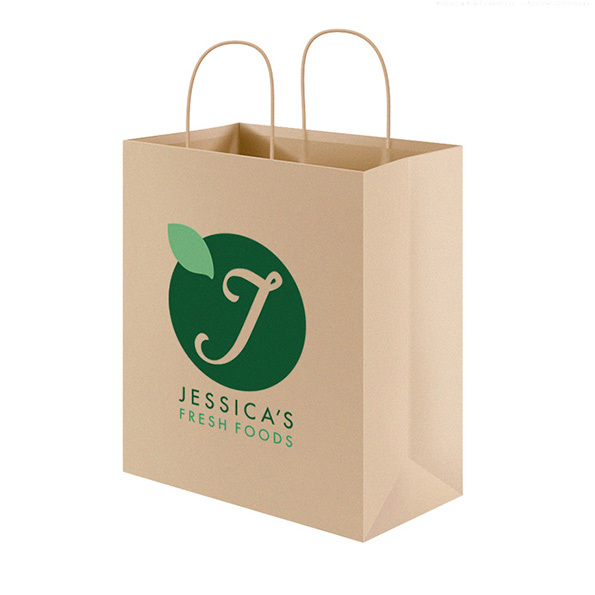 Logo Design and Visual Identity for Jessica's Fresh Foods, a company based in the West Midlands whom pride themselves on providing fresh fruit and vegetables in their shop whilst selling quality coffees and other refreshments in their cafe. 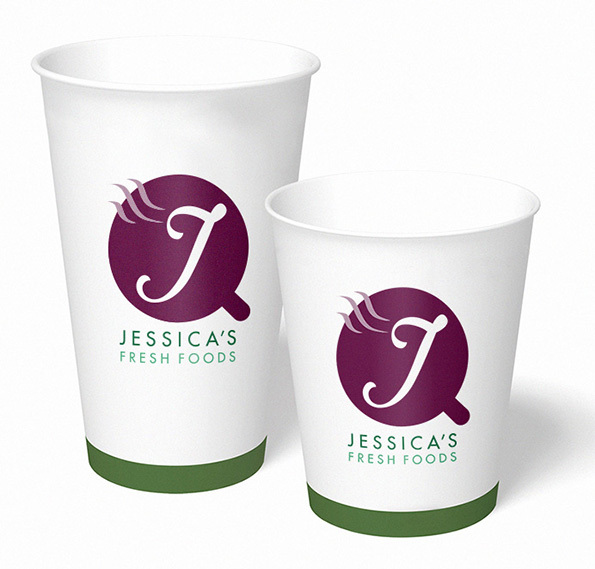 The idea was to have a logo that was easily recognisable as Jessica's Fresh Foods but changed slightly to distinguish between the two areas of business. This was achieved by using custom hand-drawn typography within an area that changed into either a coffee cup or an apple to differentiate between the shop and the cafe. The logo was then applied to appropriate items, ie. shopping bags and coffee cups to show the client how their new identity could be applied to their business.